Work colleagues or family, friends rude or uncooperative and usually kind people being unkind. For years now I have been listening to my clients and putting together individually tailored healing therapy and energy work empowerment packages to address the impacts of all these things and more. 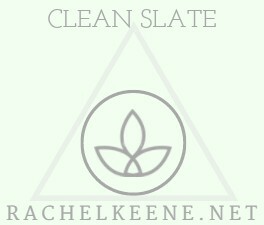 I created Clean Slate to address the increasing need in today’s world to banish what negatively influences us and reclaim our power to rise above, thrive come what may, and keep chaos at bay from our lives. With my help you could feel stronger, fearless and empowered again. Free of what has been holding you back until now. Maybe feeling free of negative influence for the first time ever? Take back your power wherever you need to, and start as you mean to go on from here. Blast away negative influences currently impacting you – have an environmental clean slate inside and out. Part of this processing may include some intense emotions and thought processes as your energy clears. It can bring up past events you may feel you already dealt with if more healing is needed so please be prepared! This is all performed distantly so wherever you are in the world I can help you. Attune and empower you with the Chaos Flush method of restoring calm and repelling chaos in future. Help you to cut cords with toxic people you wish to leave behind. I can begin all of this positive change for you at the appointed time you choose on my booking system – you will be shown appointments at 15 minute intervals, but it takes me a minimum of 4 hours to complete all the works for you. As with all intuitive energy work, I may need to take longer and so I allow up to 24 hours to work back and forth and complete everything for you fully. You will always hear from me via email within 48 hours of the work being completed. If you were to book each service individually it would cost £££ more – you pay £135 – you save – and have the services completed quickly.